Edie Brogan has been riding, owning, and loving horses for close to 50 years. She spent her childhood doing everything with her horses that kids do: trail-riding, showing, camping, swimming, parades, etc. In 1988, she melded her love for horsemanship with her police career and founded the University of Wisconsin – Madison Mounted Police. 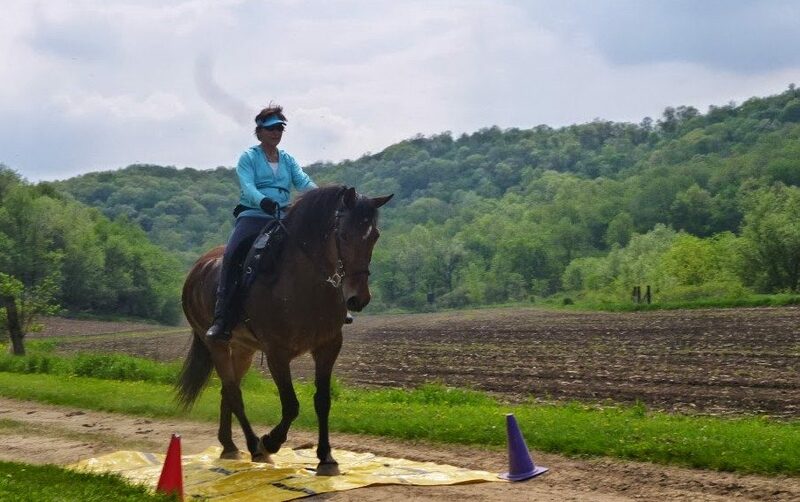 She went on to work for almost 20 years as a mounted police officer and trainer/coordinator for the county-wide mounted police, including leading state-wide demonstrations and clinics at the Midwest Horse Fair from 1994-2006. After retiring from policing, Edie was hired by the City of Madison Mounted Police in 2010, to help them in the early stages of their renewed mounted unit. She also has her own natural horsemanship training and lessons business (www.hopehillfarm.com). She and her retired (third) police mount HotShot keep busy doing ACTHA rides (2012-13 WI State Champs), mounted police training competitions, and trail-riding. Edie has been riding in Freeform saddles for over 12 years, after her quest for a saddle to fit her young Arabian X Percheron police horse reached epic proportions in 2003. She went through five saddles in an effort to find one that would make them both comfortable for long duty days and found the answer in a Freeform Classic. The Madison Mounted Police have also chosen Freeform for their current duty saddles. Edie has also helped many of her clients solve their saddle-fitting issues with Freeform saddles. All of them have been thrilled with the results. Edie continues to share the good news about Freeform wherever she goes – they just keep getting better, so she now owns three (added a Western Barrel a few years ago) and later fell in love with the Ultimate Trail. Edie believes that horses are the ultimate judges of saddle fit – and they all tell her they love Freeform Treeless Saddles!